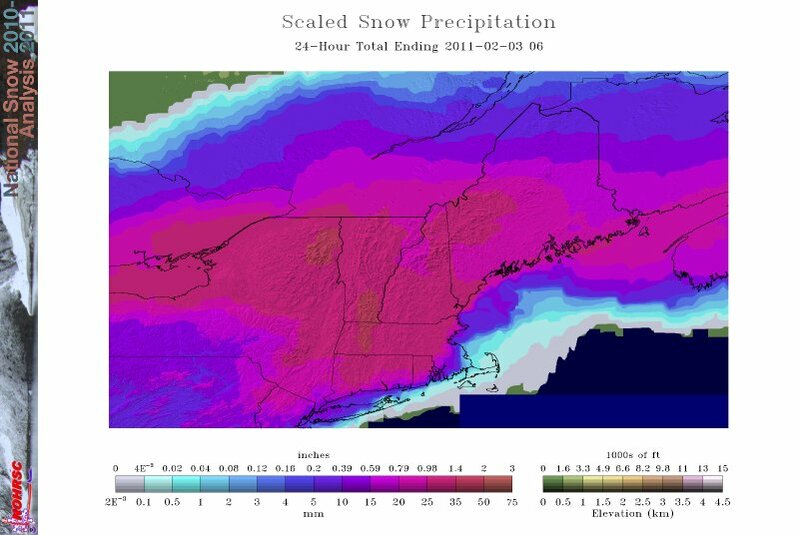 With the season’s first snowfall, snow depth and forecasts have returned. Until Northfield Mountain reopens for skiing, this page will not include trail reports. Storm animations are in the pipeline. Stay tuned and don't touch that dial … you don't know where it's been! STRONG LOW PRESSURE MOVES THROUGH THE GREAT LAKES TONIGHT. THIS WILL PUSH MILDER AIR INTO NEW ENGLAND OVERNIGHT AND SATURDAY MORNING. THE LOW THEN SWINGS A COLD FRONT THROUGH NEW ENGLAND AROUND MIDDAY SATURDAY. LOW PRES OVER THE MARITIMES PROVIDES MAINLY DRY AND COLDER WEATHER SUN AND MON...THEN HIGH PRES MOVES OFFSHORE YIELDING A SIGNIFICANT WARMING TREND MID TO LATE NEXT WEEK. Accurate time from the National Institute of Standards and Technology (NIST). Click the image above to hear NOAA's National Weather Service live broadcast of conditions and forecasts for central New Hampshire and New England. NOAA Weather station WXM68 in Marlboro, Vermont, has the best coverage of Northfield Mountain and the Connecticut River Valley. 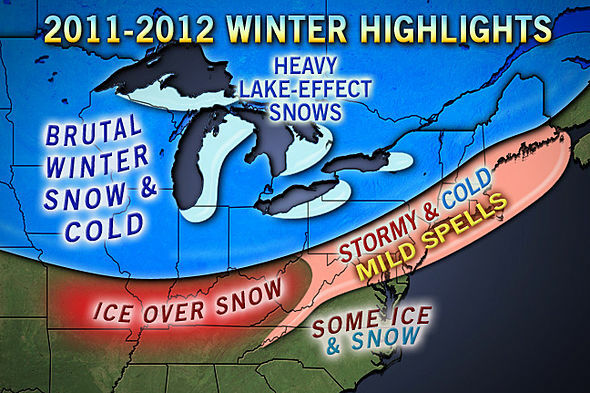 Despite wunderground's claims, the above transmission is not coming from Windsor, Vermont. The broadcast comes from WXM44 in Hanover, New Hampshire, and gives frequent summaries of conditions atop peaks over 4000 feet high in New Hampshire. Click the image above to update and enlarge Pinpoint Doppler radar. Click the image above to enlarge and update. Click the image above to enlarge the map. Click the image above to animate the map. Click the image above to enlarge the map or view more options. View other products from the Hydrometeorological Prediction Center. Click image to enlarge. Read forecast discussion. 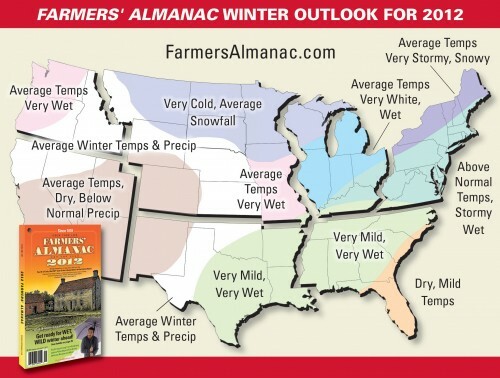 Caleb Weatherbee, official forecaster for the Farmers’ Almanac, predicts above-normal temperatures across most of the northeastern U.S. A very active storm track will bring much heavier-than-normal precipitation to the Northeast. Because of above-normal temperatures, much of the precipitation will likely be rain or mixed precipitation, although, during February, some potent East Coast storms could leave heavy snow, albeit of a wet and slushy consistency. To see snowfall totals and climate data for other years, visit NRCC. 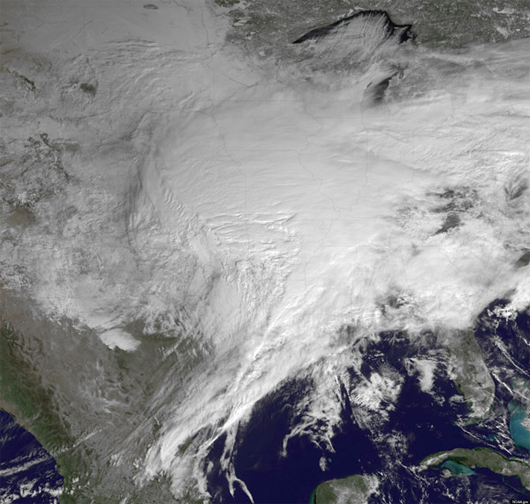 Click the image above to see a larger map of the storm of 2 February 2011. 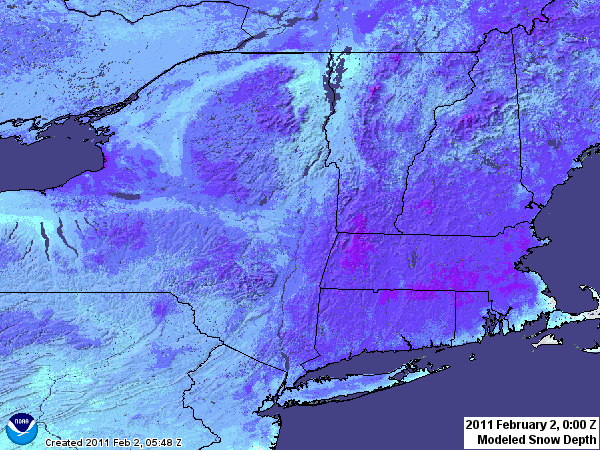 Click the image above to see a different snow cover map for today. 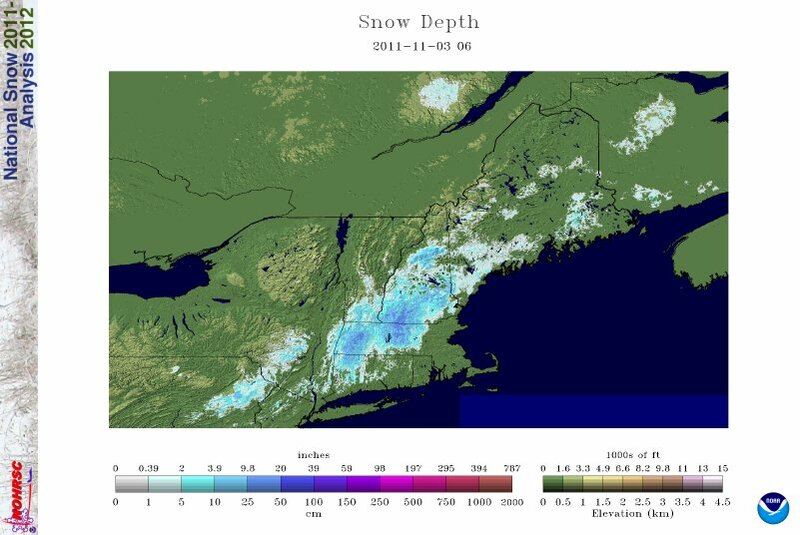 Snow Cover February 2, 2010. View from NASA GOES-13 satellite. Click the image above to view a larger version or visit the NASA Site for more photos and information. Be sure to view the animation. How cold was it? The mercury dropped to record lows the night of January 23 to 24. Wind chill made the weather seem even colder. Lows near Northfield Mountain reportedly ranged from -16° to -22°. Click the map to the left to view a larger version showing temperature readings throughout the northeast on the evening of the chill. Click the calendar above to see a larger, printable page. Create your own almanac calendar each month to show times of sunrise and sunset, length of day, times of moon rise and set, phase of the moon, and more. To get started, visit www.sunrisesunset.com. The 12th Annual Southern New England Weather Conference will provide a forum for weather enthusiasts and professionals to gather and share their knowledge and expertise regarding topics such as winter weather forecasting, severe weather, hurricanes, advances in meteorology, and emergency preparedness. 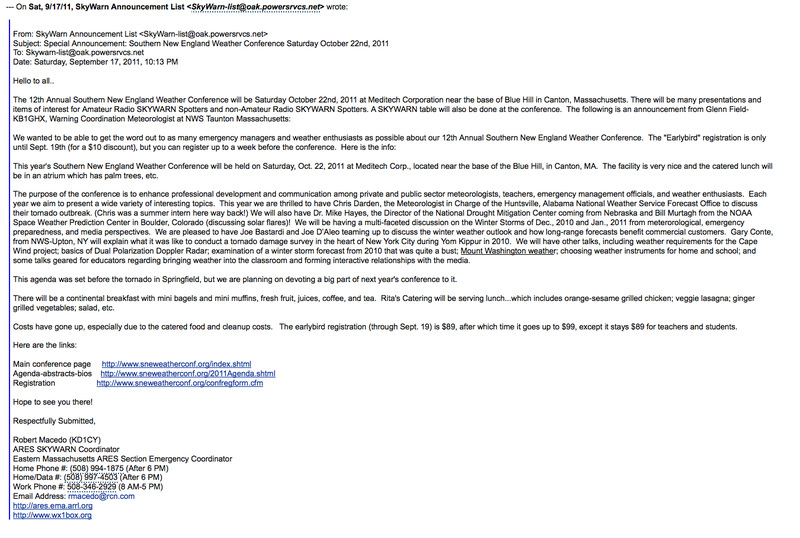 The conference will be held Saturday October 22nd, 2011 in Canton, Massachusetts. Visit the event website and Robert Macedo’s announcement.